Hummus is so wonderfully easy to make and there is something incredibly wholesome and comforting about a big bowl of homemade hummus. The quality of the ingredients are absolutely key when making it from scratch, and I have recently discovered Olive Branch who produce the most delicious range of Greek products ranging from olive oil, antipasti, tapenade, relishes and olives. Olive Branch's extra virgin olive oil is a great addition to this hummus, adding a fruity, slightly peppery depth of flavour. This is complimented really nicely with the nuttiness of the tahini and pine nuts and freshness of the lemon juice and parsley. 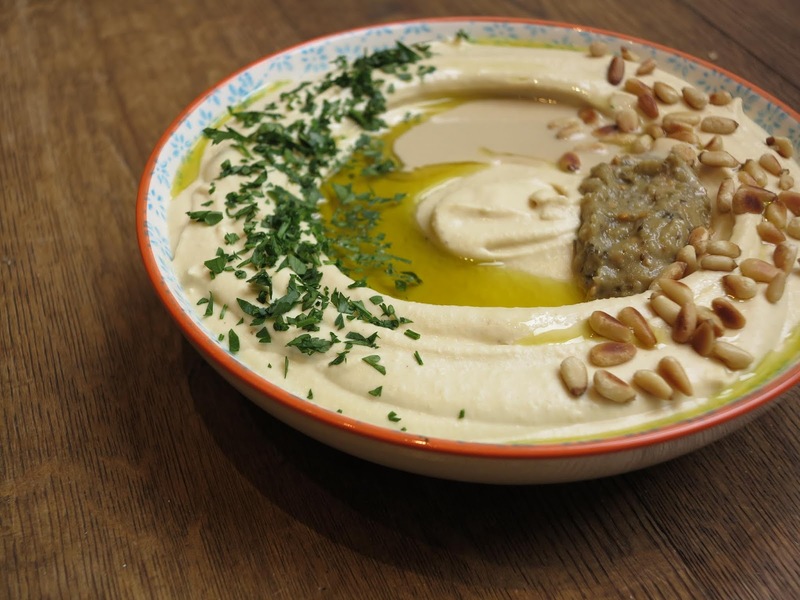 This hummus is a delicious accompaniment to chicken shawarma, roasted cauliflower, cabbage slaw, generous dollop of Olive Branch aubergine & basil paste and a side of warm pita bread. Yum! Begin by draining and rising the chickpeas. Place the chickpeas in a small saucepan and just cover with water. Bring to the boil and simmer for 5 minutes then drain, ensuring you reserve the cooking liquid in a jug. Add the chickpeas into a food processor and blend until the mixture resembles fine breadcrumbs. Then, add in the olive oil, tahini, nutmeg, garlic, salt and half of the cooking liquid. Pulse a few times and check the consistency (I usually use all of the cooking liquid as the hummus thickens more once it cools). Blend the hummus for 5 minutes until really silky and smooth. 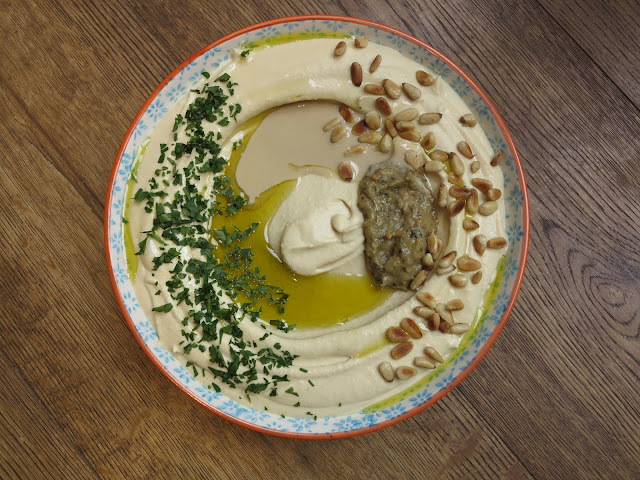 Pour the hummus into a serving dish and top with a generous drizzle of olive oil, tahini, the pine nuts and parsley. Enjoy! Crisp and buttery with a delicious light caramel sweetness from the golden caster sugar. These guys make beautiful gifts / a deliciously indulgent treat for yourself! Preheat the oven to 180 degrees / gas 4. Stir together the flour and sugar and then rub the butter into the mixture until it has a sandy consistency. Add in the chocolate and then pour the whole mixture out onto a lined baking tray. 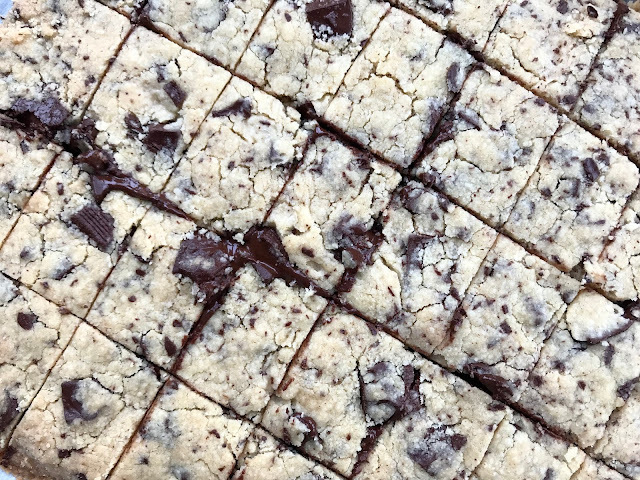 Press the dough together to form a large square that is roughly 1 inch thick, making sure not to overwork the mixture as this will make the shortbread tough. Bake for 20 - 25 minutes until pale golden. 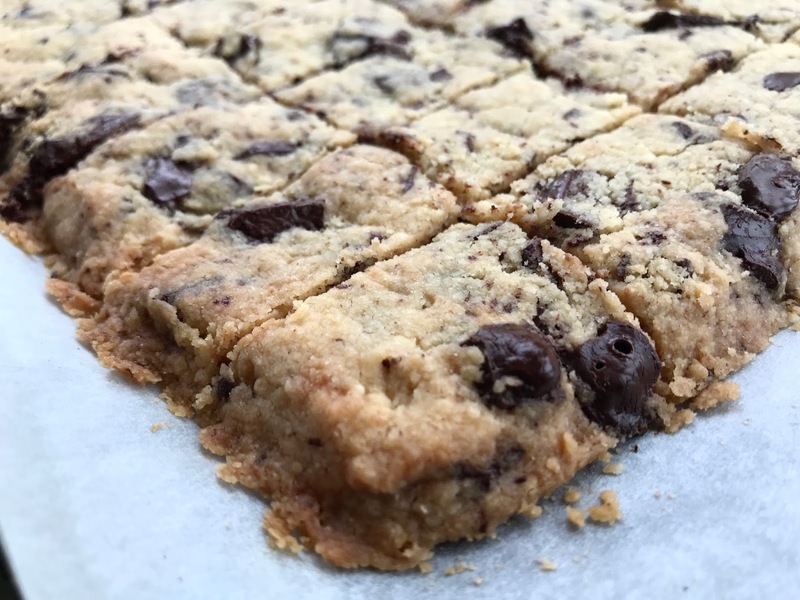 Remove from the oven and slice into small squares then leave to cool completely. Serve and enjoy! 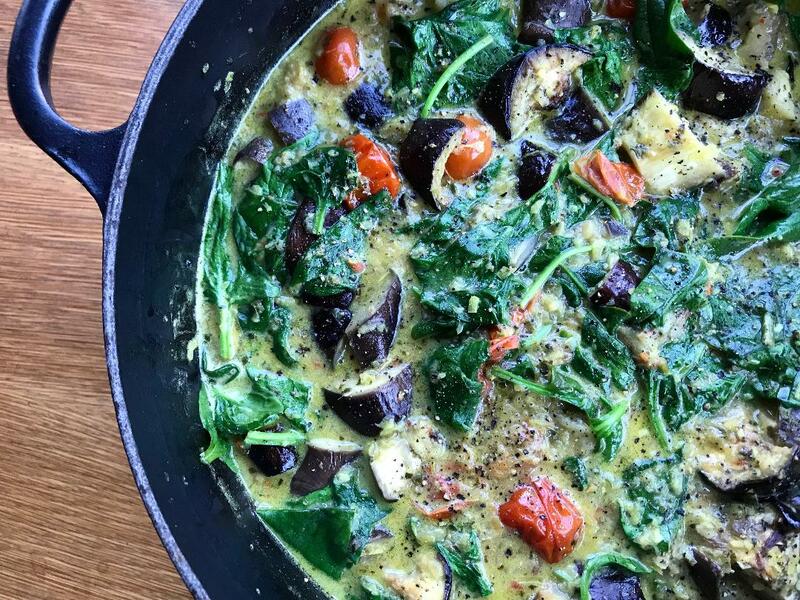 This recipe is one of my favourite things to make in the winter as it's so so easy to make yet really flavoursome, wholesome and packed full of goodness. You can add in whatever vegetables or even meat you like, but personally I really like the aubergine / tomato / spinach combo. This curry isn't overly spicy, but packs a really nice hum of heat (obviously feel free to add another chilli if you like hotter curries). Serve with brown rice and lots of fresh coriander. 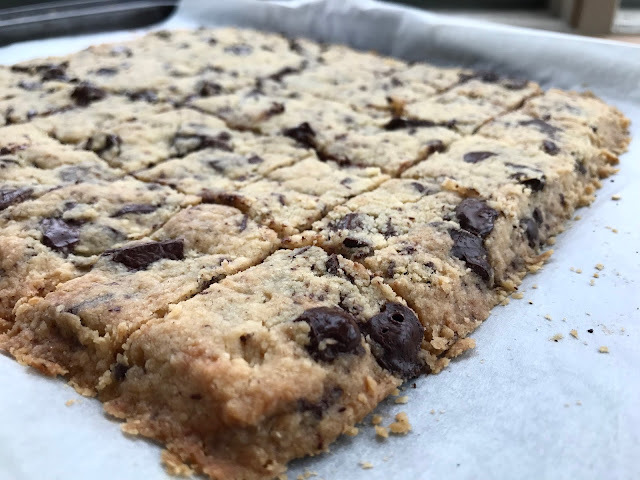 I usually make a giant batch of this and freeze half for emergencies. Begin by preheating your oven to 200 degrees / gas 6. Slice up the aubergines into chunks and place on a lined baking tray with 2 tbsp of olive oil, salt and pepper. Roast for 40 minutes. In the meantime, make the curry paste by placing the onion, chilli, garlic, ginger, lemongrass, nutmeg, turmeric and parsley and blitzing until a chunky paste forms. Begin cooking your rice according to package instructions. Heat the remaining tbsp of olive oil in a large saucepan and then add in the curry paste. Fry off the curry paste over a medium heat for 5 minutes then add in the coconut milk, stock and tomatoes. Simmer for 10 minutes until the curry starts to thicken. Add in the roasted aubergine and spinach with plenty of salt and pepper and the lime juice. Heat until the spinach has wilted down then serve with brown rice. Enjoy! 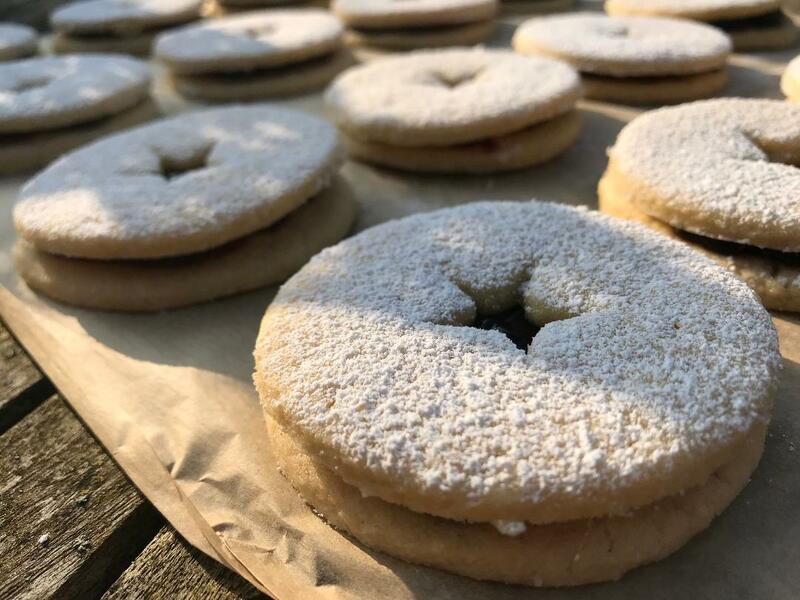 I make no secret of the fact that I am a little bit of a cookie fiend, almost all of which usually contain butter and dairy. However, I have a few new colleagues who are dairy free, so this recipe came about as I wanted to bring in cookies that were just as indulgent as my normal cookies but without the butter and chocolate. These cookies tick all the boxes - they are sweet and packed full of flavour and texture. 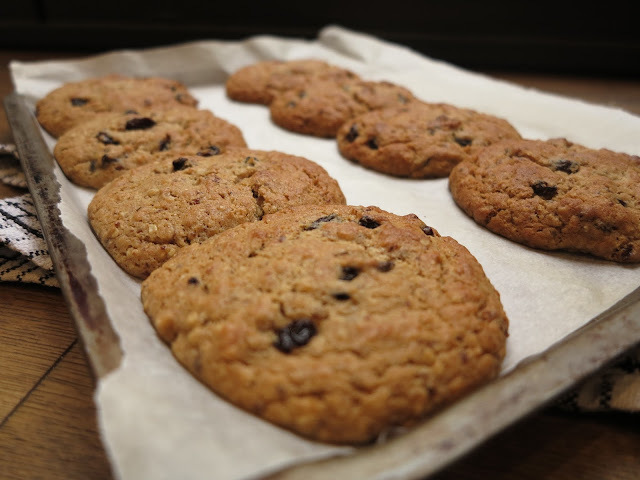 The real secret to these guys is blending up some raisins with water to form a paste...trust when I say the end result is a beautifully chewy cookie. 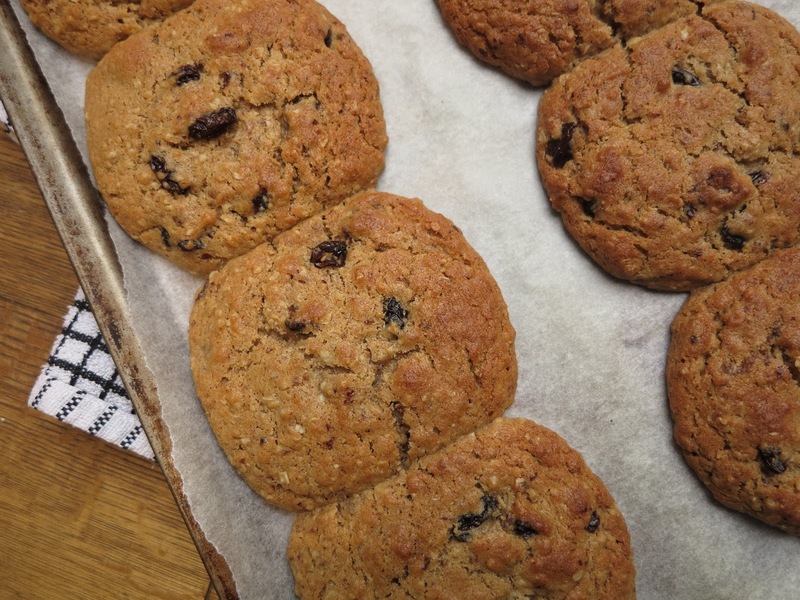 Begin by blending 50g raisins with the water to form a rough paste. Add the paste into a large mixing bowl with the sunflower oil, light brown sugar, egg and vanilla then mix until the mixture comes together. Stir in the flour, oats, baking powder, salt, cinnamon and remaining raisins so that a dough forms. Place the bowl in the fridge for at least 30 minutes so that the dough can firm up. In the meantime, preheat the oven to 200 degrees / gas 6. Shape the dough into 8 - 10 equal cookies and place on a lined baking tray. Bake for 12 minutes until golden and aromatic. 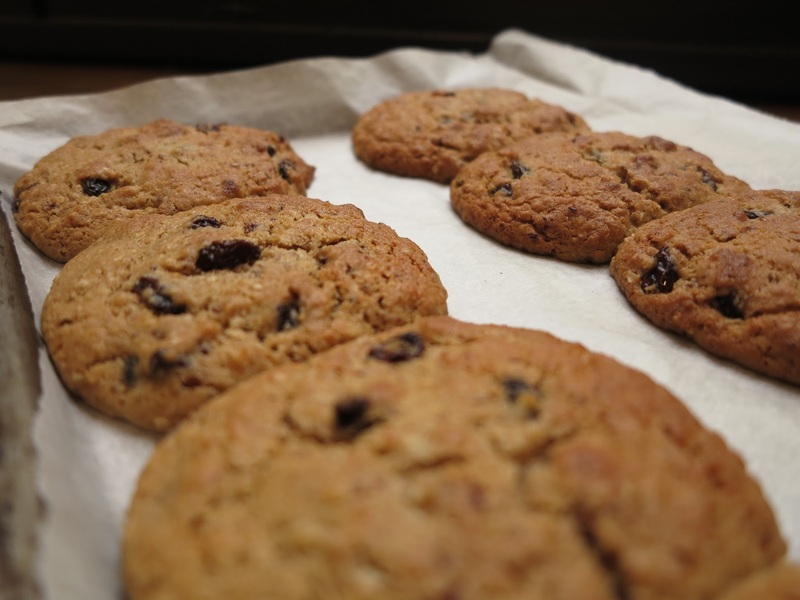 Leave to cool for 5 minutes so that the cookies firm up a little then serve and enjoy! I seem to be in a bit of a cinnamon bun funk at the moment and I think it's fair to say that it's starting to get a little bit obsessive! There is something just so comforting and nostalgic about tucking into a warm cinnamon bun on a cold winter's day. 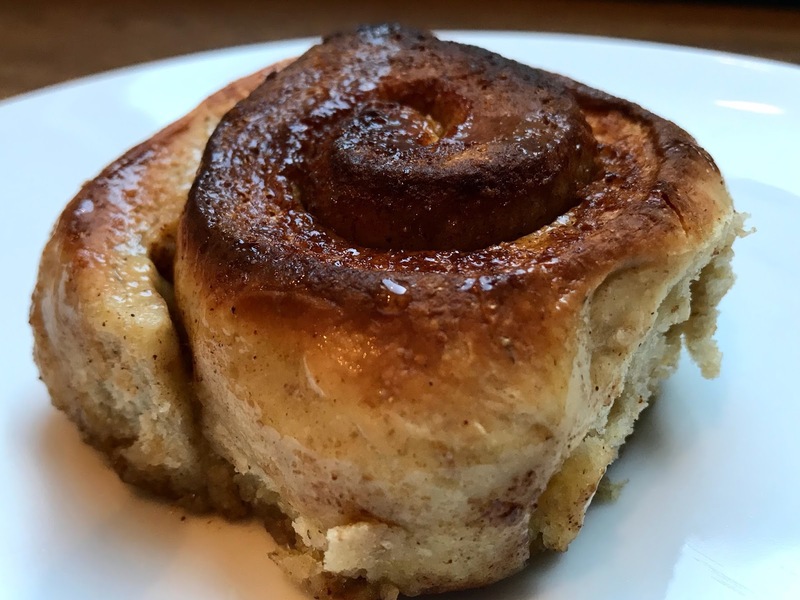 Now, London is really blessed to have an amazing selection of bakeries that sell authentic cinnamon buns (my favourites are the Nordic Bakery, Ole & Steen and Aster), but I decided to come up with an easy overnight recipe that you can make in the comfort of your home and enjoy as a weekend breakfast treat without even having to get out of your pyjamas! 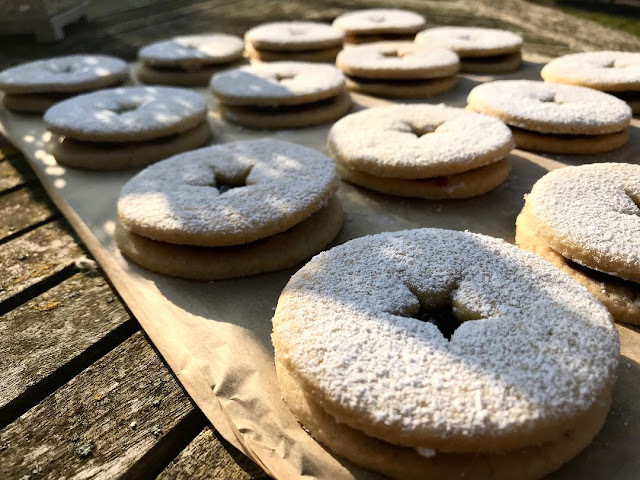 The beauty of these guys is that you leave them in the fridge overnight which slows the proving process, and then only have to prove and bake in the morning. 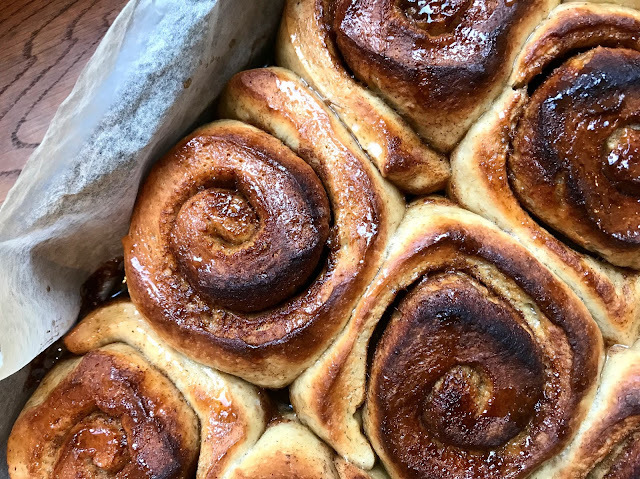 The end result is that you get such incredibly fresh, warm, gooey, fluffy and sweet cinnamon rolls of goodness first thing in the morning...it's a win win situation. I add in a little bit of rye flour to add texture and a delicious nuttiness, but if you're not a rye fan just use all plain flour. Begin by gently heating the milk until warmed through (I usually get to the temperature of a warm bath). Then, stir in the yeast and honey and leave to sit for 5 minutes until frothy. In the meantime, add the flours, salt and cardamom into a large mixing bowl. Pour in the milk mixture along with the melted butter and eggs and mix in a stand mixer with a dough hook for 5 mins, or knead by hand for 10 mins until the dough becomes smooth and springy. Then place back in the mixing bowl, cover with a tea towel and leave to rise for 1 - 1 1/2 hours until doubled in size. Roll the dough out into a large rectangle and spread the softened butter over. Then mix together the light brown sugar and cinnamon and sprinkle over the butter. Gently roll the rectangle into a long log and then cut into 10-12 rolls. Place the rolls in a large greaseproof paper lined roasting tin with even spacing between each other. Cover with cling film and place in the fridge overnight. In the morning preheat the oven to 200 degrees. Remove the roasting tin from the fridge and leave covered to get to room temperature for 1 hour. When you are ready to bake, brush the buns generously with melted butter then bake for 20 until golden and aromatic. Whilst the buns are in the oven, make the glaze by boiling the water, sugar and lemon juice together for 5 mins until the sugar has dissolved and the mixture is starting to thicken. Remove the rolls from the oven and generously drizzle over the glaze. Serve warm and enjoy! 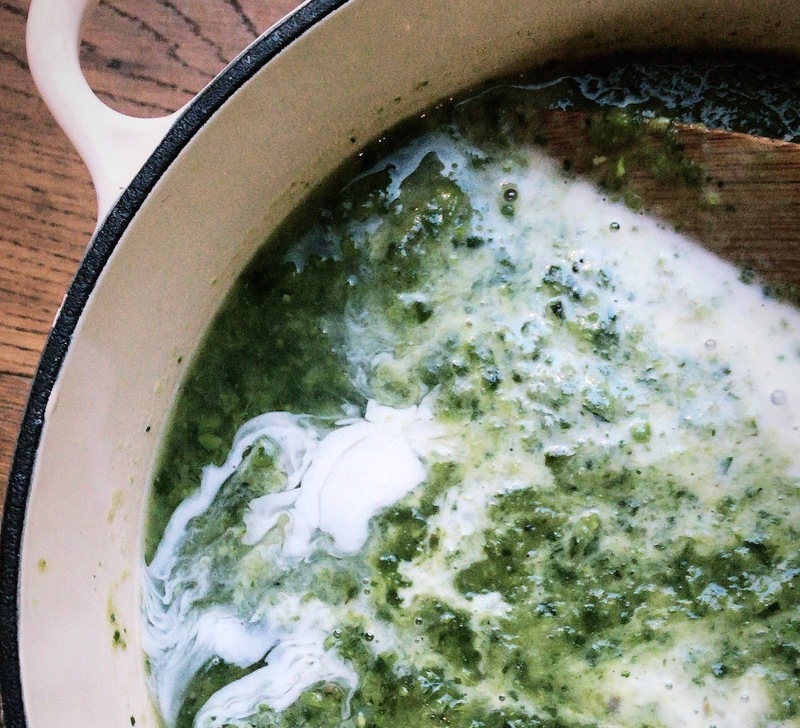 Soup is not something I make very often, but all of this cold weather had me craving a big bowl of warm nourishing homemade soup. This particular recipe was the happy outcome of needing to use up lots of leftover greens from the fridge and was a delicious success! 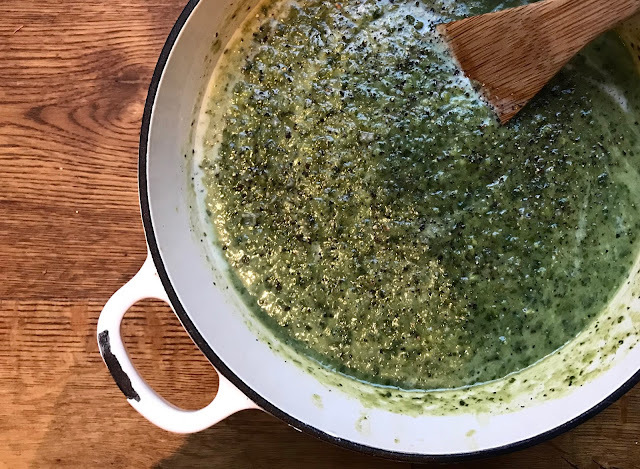 The courgette and spinach give the soup amazing colour and depth of flavour, and the peas and coconut cream add a really delicious sweetness. This soup takes all of 20 minutes to make and is packed full of all kinds of goodness. Serve warm with crusty bread. Begin by gently frying the onions, garlic and leek in a large saucepan with some salt for around 5 minutes or so, until starting to soften. Add in the courgette and potato and cook for a further 2-3 minutes until starting to colour. Stir through peas, parsley and spinach, then pour in the water and vegetable bouillon. Season well then stir and leave to simmer for 15 minutes, until the potatoes become nice and tender. Then, blitz the whole mixture in a blender until a chunky soup forms. Pour back into the saucepan and bring back to a simmer. Stir through the coconut cream, season well and serve with plenty of crusty buttered bread. Enjoy!